Here’s Tom making sure the dumptruck doesn’t get to full!! 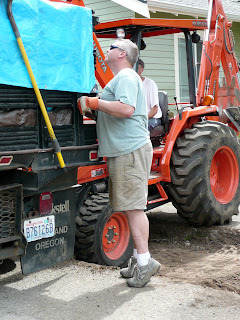 we moved over 12 yards of dirt and debris from the side of our garage to make room for gravel. Gravel sure does make a property look nice.